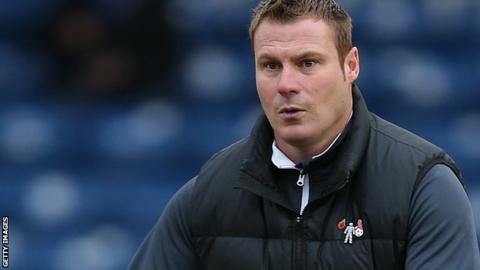 Doncaster manager Paul Dickov helped protect the "morality" of football by allowing Bury to walk in an injury-time equaliser on Saturday, says Shakers boss David Flitcroft. After Harry Forrester scored in playing the ball back to the Bury keeper, Leon Clarke dribbled from the centre circle to score unchallenged. "Paul put football in a good place with his sportsmanship," Flitcroft said. "Because if you lose morality the game has no substance for me." Flitcroft, who led Bury to automatic promotion from League Two in his first full season in charge last term, added: "I've got the ultimate respect for Paul Dickov. "He tried to get the referee to award a foul throw initially but then he's allowed us to score from the restart." Once Forrester had inadvertently beaten Christian Walton trying to return possession to the visitors after the ball was put out following an injury, Dickov had no hesitation in his decision to restore parity. "I didn't really think twice about allowing them to equalise. It just wouldn't have been right for us to take three points in the circumstances," he said. "It was just an unfortunate ending to the game. Harry Forrester hit the ball too sweet and I was just hoping it wouldn't go in. "When it did we just had to allow them to score because you can't win a game like that."